Banality for some, but an important piece of equipment for the experienced. 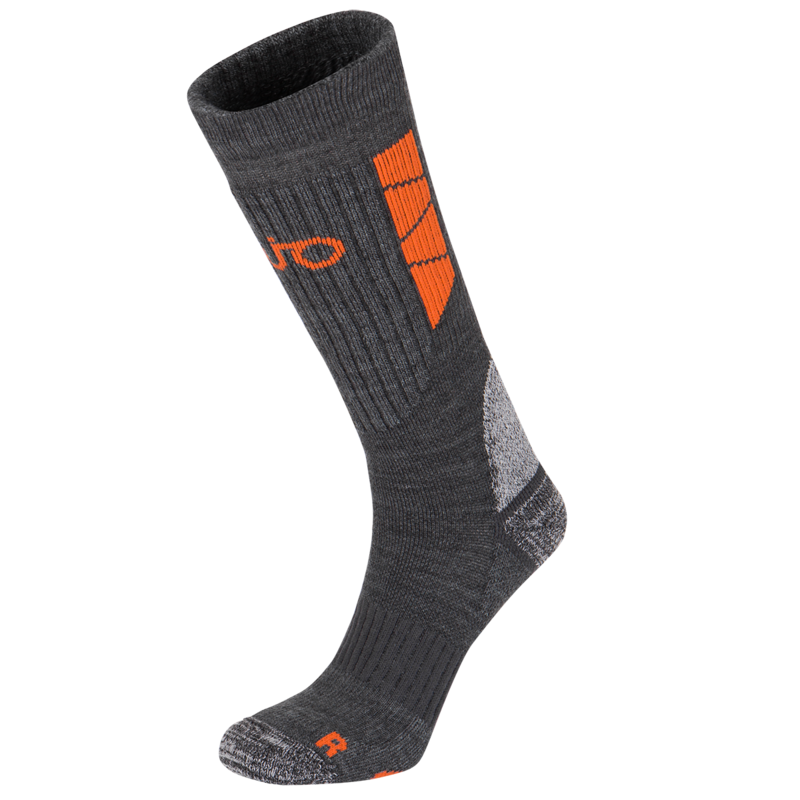 Technical, warm functional socks designed for extreme conditions. Thanks to the Isolfil® fiber that is lighter than water, they drain all moisture to the surface where it is evaporated, so your feet remain dry in any condition. Merino wool can adjust to big thermal differences and therefore ensures the ideal temperature for your feet during increased physical activities. Special polyamide Curdura fabric mixture increases durability, abrasion resistance and long life. Reinforced heel ensures comfort during high endurance. As they say in the mountains: all is good, as long as the feet are dry.